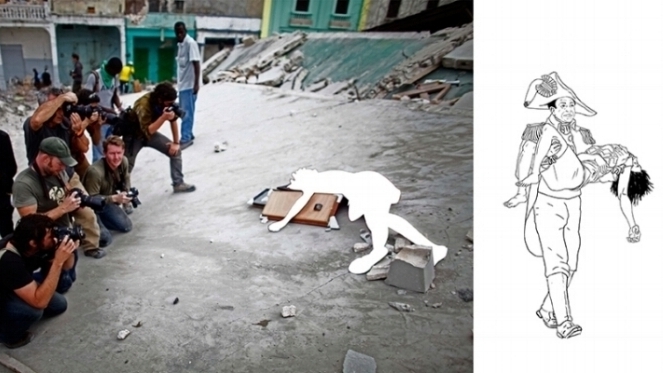 a collaborative project: Le Centre D'art Port Au Prince / Chris Rackley (drawings) / Mark Stockton (workshop facilitator) / Cindy Moore (workshop facilitator). This project address contemporary saturation of images without context. We have been thinking about the circulation of images that relate to migration. "Boat people" denounces the act of migration. What probably wasn’t described here is the accumulation of events that happened to construct this image (economic dominance, colonial and post-colonial processes). It is unacceptable today not to enter into a discussion of ethics and aesthetics without addressing history, and within that history the relation that economics and culture have in particular in the exploited periphery must be addressed. We have looking at the US involvement in Haiti, and to a lesser degree French and German involvement. I am telling the tale of two situations that relate to contemporary migration: the destruction of black rice (in West Africa, brought with slavery) and the massacre of the Creole pig (in Haiti) and the US imposition of the white (Arkansas) pig, also know as the princess pig. The project consist in various components, 1. a research from various sources about the history of Haiti, 2. 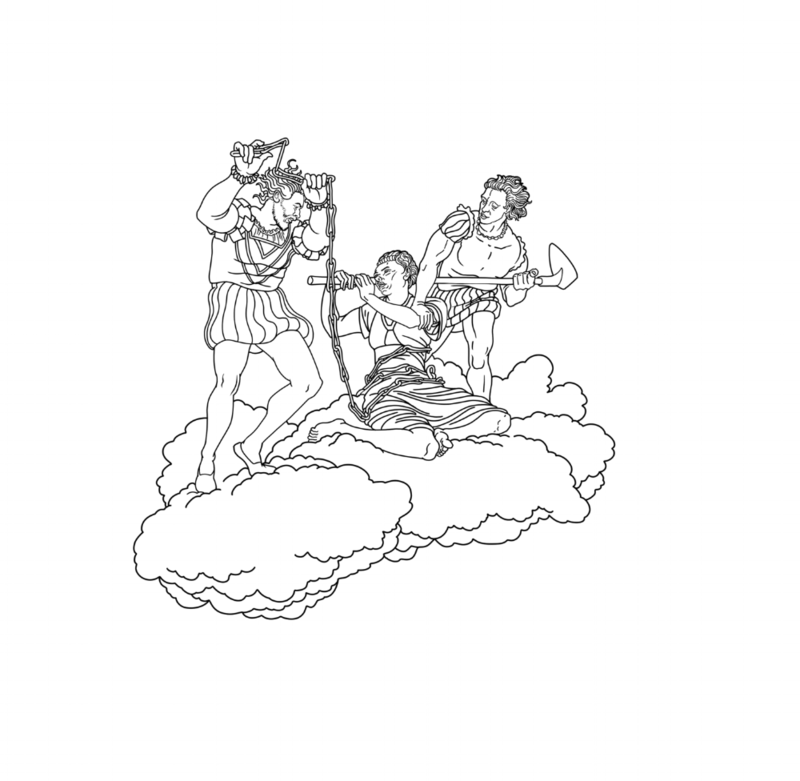 Create small book mixing text and images from subverting Michelangelo's Sistine Chapel drawings used as interface to narrate the history of Haiti. 3. A series of workshops will be organized in Haiti to bring together historians and artists to expand the drawings to ultimately paint the ceiling of a public space.